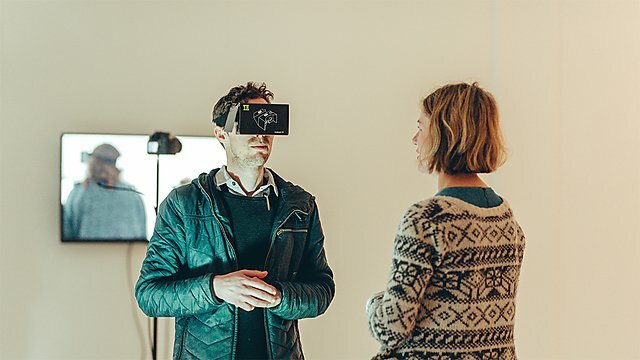 We welcome applications for both practice-led and more traditional forms of doctoral research across art and media including interdisciplinary practices, philosophical, curatorial and pedagogic research. Explore, experiment and develop project ideas in a supportive, critically reflective, wide-ranging creative arts context. You will be guided by a small supervisory team of academic experts under the direction of a Director of Studies. Where appropriate, the team will draw on expertise elsewhere in the University (for instance, for pedagogic studies, from the Institute of Education, or if concerned with Visual Arts and the Maritime, from the Marine Institute). Even if you already have a degree at masters level, you will normally be registered as a ‘MPhil/PhD’ candidate and may apply to transfer to ‘PhD’ status around 10–22 months after registration, based on your progress to date. You will be expected to fully engage with research skills development and training and to present your project in a range of scholarly contexts. Applicants are normally expected to have completed a masters level qualification to a high standard (e.g. at 'merit' or 'distinction' level) as well as either a good 2:1 or first class honours undergraduate degree in an area of study appropriate to your project proposal (e.g. contemporary art, media arts, photography, art historical, curatorial or writing practices, or art specialism teaching qualifications). Complementary study experience at BA and MA levels are also welcome; you may have studied different subjects at undergraduate and masters level that together form a foundation for an established art practice. If you do not have a masters level qualification, we recommend you consider applying for our ResM Art, Design and Architecture programme. Students who are making exceptional progress in a ResM programme, may progress directly into our PhD programme without having to complete the masters. You will need to be able to show evidence that you are ready to pursue your proposed project. If you wish to discuss the feasibility of your research project, please contact Dr Anya Lewin. Please visit tuition fees for postgraduate research for information about fees. PhD Art and Media is in Band 2 for fees purposes. You are responsible for meeting all of the costs related to your own research project, beyond the resources available in the department. You will have access to equipment and production facilities, and full-time fine art students can apply to be considered for studio space. If you would like to discuss your application, at any stage, please contact Dr Anya Lewin. "Humanity Undone: a digital relational enquiry into the vulnerability of being human"
"Above and Below the Horizon: an experimental practice-led investigation into the Liminal and Subliminal"
"The influence of contemporary art on young artists in Kuwait"
"Film Here Now: Daily Filmmaking and Well-being"
"Contemporary processes of musical creation: multi-art intersections and performances"
"The imposition of order - collecting and listening - mind and aesthetics"
"Engaging with the atmospheres: Moving-image entanglements at the Sierra Negra astronomical observatories"
"Ubi Sunt: Reimagining The Sublime for Contemporary Photography"
"The Radiance at the Blurred Edge: Poetic Forensics on the politically disappeared, its people and its land"
"Unearth: Visual Strategies to Reveal and Regenerate Hidden Histories"
"Social Sculpture and Philosophical Concepts: A Transformative Reflective Practice"
"The importance of teaching media to key stage 3 and 4 students"
"Trace colour as collective memory: an interpretation, through practice, of colour residues in Kurdistan banner making, to reflect upon contemporary communal events"
"Bearing the sublime: what constitutes the sublime in the age of the Anthropocene?" "Traditions Explored in Chinese Contemporary Art: The Iconography of Landscape"
"What does 'contemporary music' mean now? Music and the problem of temporality"
"Place and identity in the contest of Italian photography: the case study of Lugo in the Lowlands of Romagna"
"The Problem of Being the Problem: in a time of global ecological uncertainty how we can bear witness, through creative practice, to the crisis we are facing from climate change?" "The Irish Borderland: photography, history and new cartographies"
"Photography and Its Contribution to the Understanding of Digital Porosity"
"Representation of Indeterminacy and Process"
"The impact of hearing impairment upon visual based photographic activities"
"Agency of Error: the significance of human and nonhuman error in postdigital print"
"Behind Closed Doors: Women’s Domesticity in Mashhad"
"The persistence of symbols in contemporary European Visual Culture / Practice-led artistic research in Visual communication"
"Mary, Mother of Meaning: A Filmic Exploration of the Sacred Feminine"
"An Artistic Equivalence of my Obsessive Compulsive Disorder"
"The States and Status of Clay: Material, Metamorphic and Metaphorical Values"
"Catch | Bounce Towards a Relational Ontology of the Digital in Art Practice"
"The Knotweed Factor: Non-Visual Aspects of Poetic Documentary"
"The Medium and the Message: Afro-Cuban Trance and Western Theatrical Performance"
"Towards a Cinema of Imperfection: Participatory Film as Research"
"Inhabiting the Uninhabitable: Interdisciplinary Strategies for Creating Other Worlds"
"A translocal approach to dialogue-based art"
"Haplos: Towards Technologies for and Applications of Somaesthetics"
"Reanimating the Wound: Dermatilliomanic Practice and the First World War"
"Every Frame Counts: Creative Practice and Gender in Direct Animation"
"In and out of memory: exploring the tension between remembering and forgetting when recalling 9/11, a traumatic event"
"Transition-felt: William James, Locative Narrative and the Multi-stable Field of Expanded Narrative"
Can an abstract painting practice based on traces of Kurdish banner making, both be informed and clarified by a socio-political collective consciousness? Rostam’s research is sponsored by the Kurdistan Regional Government. I employ archeological methodologies in both my practice and theoretical research, excavating appropriate personal histories and documents to transform them (in the way Foucault suggests) into monuments, so that we can understand our present. I am interested in the double relationship of what is excavated and what is produced from the data. In this I am working against forgetfulness through a process of creating a fictionalized past. My excavation takes place mainly within the field of memory, especially the memories of people directly in contact with events that concern my research. The calligraphers of Sulimaniyah are aware of the events of the society as they unfold through the mediation of banner making. I view collective memory (the collective Kurdish mind) as a place I can excavate and reveal important contemporary issues of identity and power games. The interviews are a powerful archeological tool, and an increasingly important aspect of my artworks is how I navigate this multi-voiced archive. My practice is based on appropriation in both materials and method. Such appropriation is closer to remembering rather than forgetting. It offers a reconceptualization of historical narratives, and generates new meaning through cultural production. These are some of our core supervisors in the Art and Media program. We work with candidates to find the best supervisors for the research and are able to bring teams together from across the University. Examples are from Architecture, Art History, Design, Education, English and Environmental and Marine Sciences. Carole Baker is a practice based researcher exploring posthumanist and phenomenological debates around the non-human animal through a Critical Realist photographic practice. Her current work Sensing the Familiar juxtaposes the social realities of Cyprus dog rescue with philosophical reflections on the nature of alterity, being, power and knowledge. Tom Baugh explores alternative responses of understanding mental health that is accessible, empowering and non-stigmatising, and that leads to recovery and autonomy. He focusses on modes of perceiving the context, and impact of, diagnostic and non-diagnostic discourse, both in clinical environments and across other key societal settings. https://drthomasbaugh.tumblr.com. Christopher Cook is a painter who employs broadly surrealist processes and a specific monochrome medium to interrogate a range of themes, including genetic modification, sacred and profane architecture, and migration/protectionism. His work questions the relationship between painting and photographic reproduction, and between surrealist approaches and Eastern philosophies. Current research interests include Golden Age Still Life Painting, Chinese ink painting and ekphrastic poetry. Geoff Cox is currently engaged on a research project The Contemporary Condition, and as part of this co-edits a book series published by Sternberg Press. He also works on various other publishing projects and collaborations that reflect his interests in contemporary art, post-digital aesthetics, software studies, live coding, and machine vision. www.anti-thesis.net. Phil Ellis is a researcher and artist, exploring the relationship between historical and contemporary television. 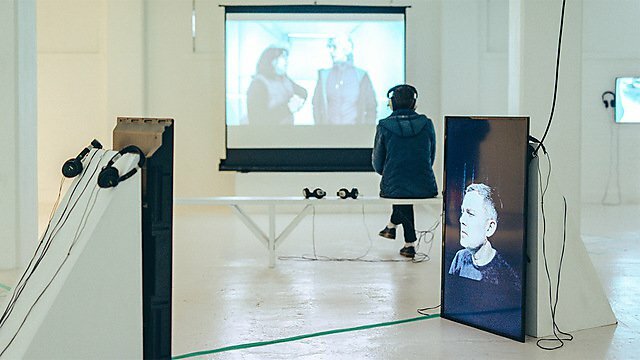 He uses archival materials and re-enactment processes, employing interactive digital televisual technologies to engage with audiences in participatory culture. He is currently writing a chapter for a book to be published by Amsterdam University Press in late 2018. Allister Gall works across film, moving image art and the creation of participatory environments. 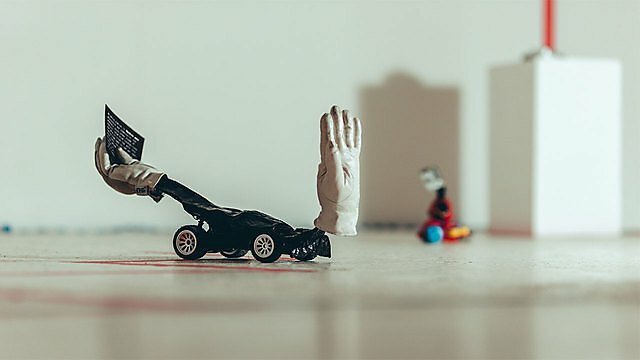 Since 2010, he has been exploring the idea of Imperfect Cinema that focuses on the emancipatory potential of imperfection and DIY punk principles, opening up spaces for collective experiences, aesthetic experimentation and social interaction. www.imperfectcinema.com / allistergall.net. Anya Lewin explores artist’s moving image and the spaces it can occupy along with the larger context of Artistic Research. She is currently focusing on narrative moving image in the gallery and experimental biography and is in the process of finishing a trilogy of moving image installations, which explore the intersection of personal and public archives and her own family connection with screen history. www.imadeitup.info. John Matthias is a musician, composer and physicist whose work and explores the creation of new music, new sound installation and the physics of complex systems. He has released five albums via Accidental, Ninja Tune, Nonclassical and Village Green Recordings and has collaborated with many artists including Radiohead and Coldcut and his music has been remixed by many artists including Thom Yorke, Matthew Herbert and Jem Finer. Heidi Morstang works with contemporary photography and experimental documentary films. Her practice-based research explores the significance of landscape; she is interested in the social, cultural, environmental and archaeological histories embedded in landscapes. The majority of her work is created in the Nordic Arctic region, often in collaboration with scientists and various academic disciplines such as forensic archaeology, political and cultural history, the sciences, geo-sciences and pure mathematics. www.hcmorstang.co.uk. Simon Standing explores our relationship to sacred and secular architectural environments through photographic research. The current focus of which is urban development on the island of Cyprus undertaken within a recent artist residency. Further research explores his relationship with Gothic cathedrals across Europe that have been a very particular element of his personal and photographic identity over the last 30 years. www.simonstanding.co.uk. Liz Wells writes and lectures on photographic histories and practices, and curates exhibitions on land and environment. She co-edits photographies peer-reviewed journal and is series editor for Photography, Place, Environment, Bloomsbury Academic Press (forthcoming). She is an elected member of the Board of Directors, Society for Photographic Education, and in 2017 was awarded an Honorary Doctorate by University of Gothenberg.